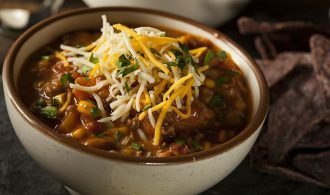 Family memoirs are treasured accounts of ancestral heritage. Stories of our past enrich our lives today, allowing a glimpse into what has made us who we are. Stories of faith and hardship, trial and even some errors all make up the threads of our tapestry. 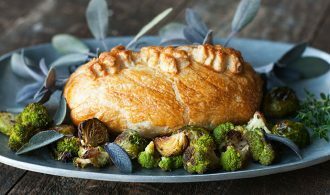 And carry on a heritage to the generations to come. Equally important are the artifacts from those journeys of life. Teacups, photos, ship manifests, tintypes, brooches… letters, and more. Yet many times, the fascinating tangible proofs of our heritage are safely hidden in archival boxes. Rightly so. 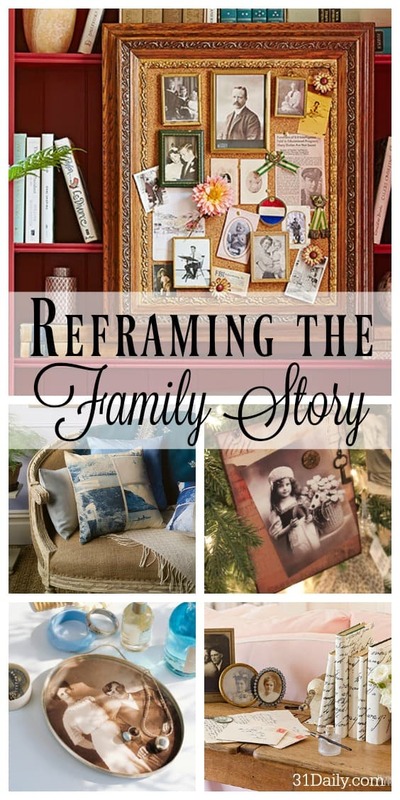 However, let’s rethink or possibly reframe the telling of the family story. 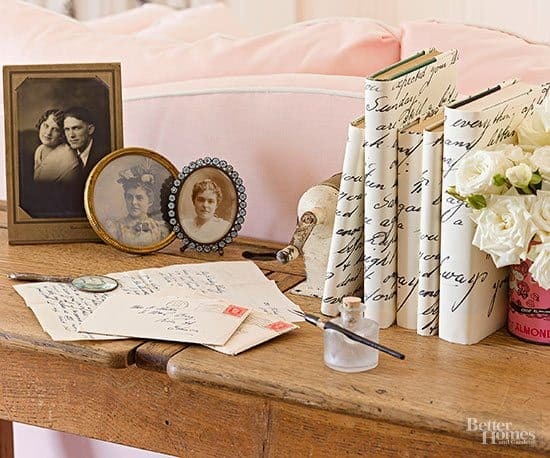 We’ve discovered some amazingly creative and simple ways to share your family story. 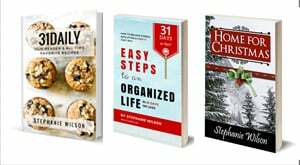 And with the gift-giving season just ahead… there just might be some inspirational ideas to gift and share your legacy. 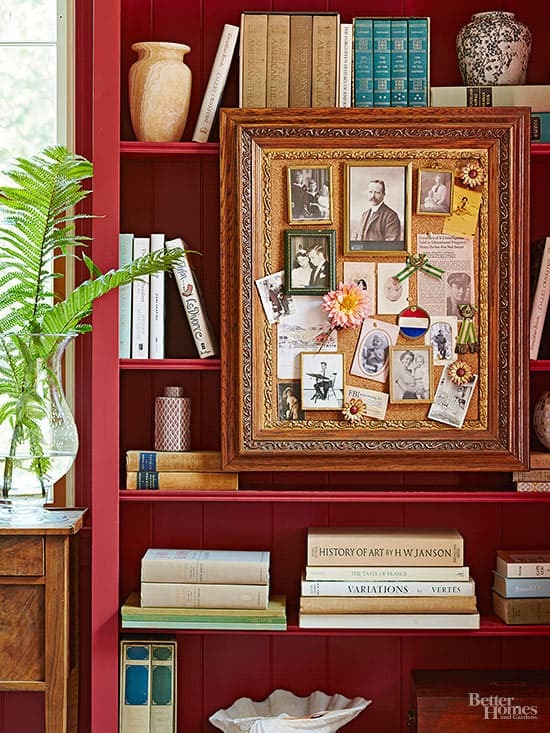 Tell your family story by hanging small framed pictures and memorabilia bulletin-board style in a large vintage frame. To create the backing, cut a piece of cork (sold in rolls at crafts stores) to fit the frame. Apply spray adhesive to secure the cork to a sturdy piece of corrugated cardboard. 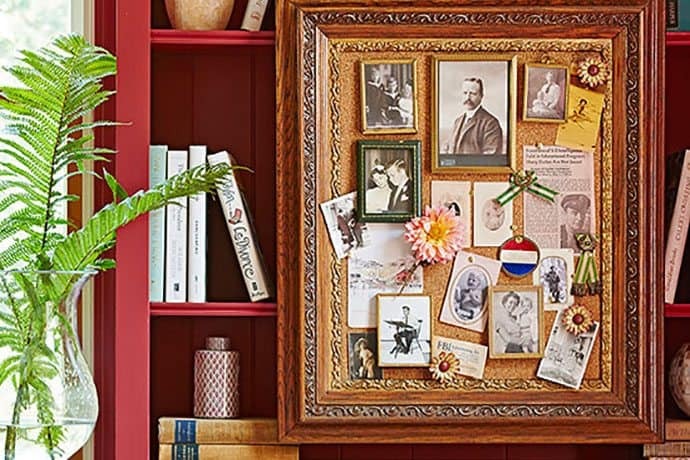 Use four flathead tacks to hang each small frame on the corkboard. Glue the flathead portion of the tacks to the back of each frame — one tack in each corner. Let dry, then push the frame into the cork. Hint: I’m working on this project, but I’m not using original photos or news articles. Scanning and printing them from a color laser allows you to size them however you wish while preserving the original. 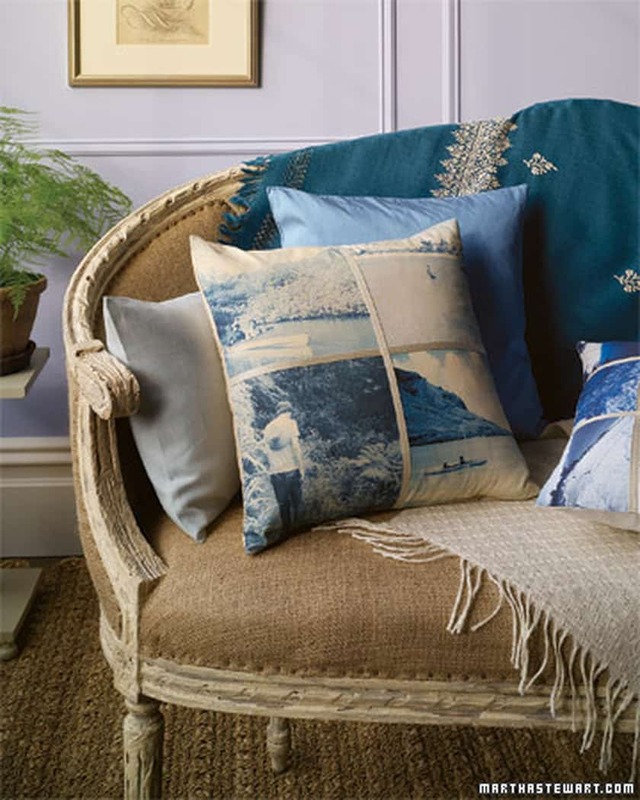 Preserve images from the past in new and unexpected ways with pillows. 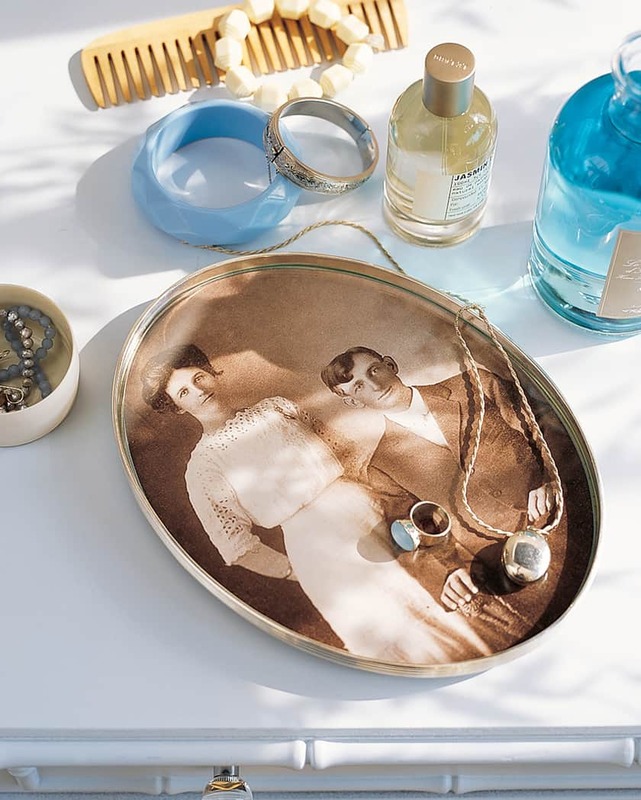 Enhance household objects, such as a vintage vanity tray, with copies of family photos. A glazier can cut a piece of glass to fit inside the tray to protect the image. Dust off penned notes from the past and bring them out into the open. Use a photocopier to enlarge the letters and print the results on pretty paper stock. Form dust jackets for books from the paper and display the wrapped books on tabletops or shelves. 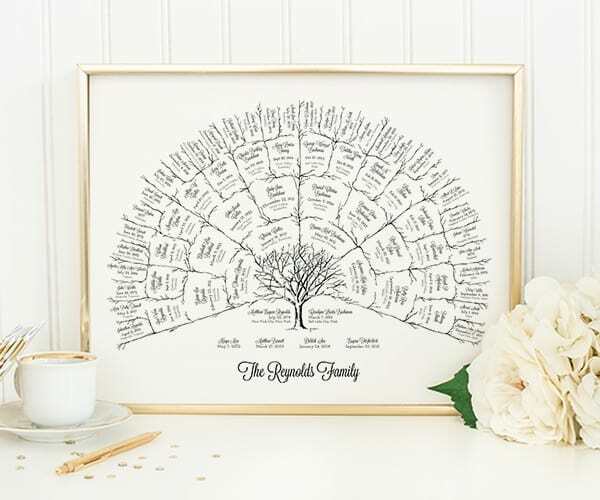 A family tree can be a beautiful work of art as well as an informative genealogical record. Fan chart and hand-lettered tree are simple projects that yield striking results. Both plot ascendant lineage, meaning that they begin by charting the present generation at the bottom and expand upward as they go back in time. 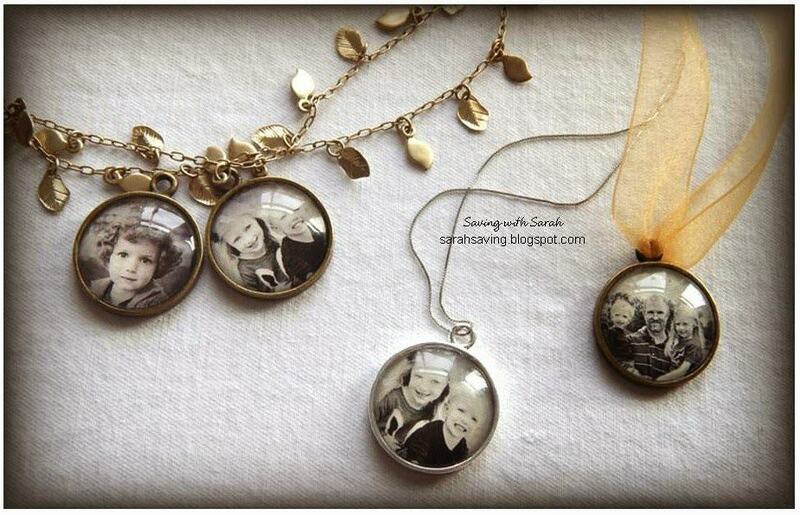 A few simple supplies and less than $2.50 each, DIY memorable jewelry any family member would love to wear. Pottery Barn and other retailers have showcased Christmas Trees featuring photo frames. 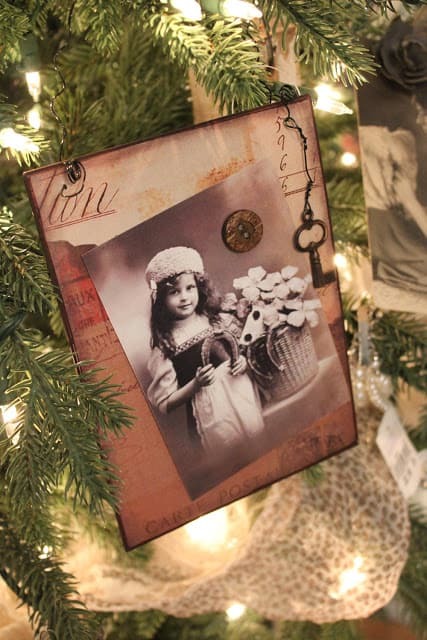 Honor your legacy by including ancestral photos in your tree, or even by decorating a small tree dedicated to a vintage theme. 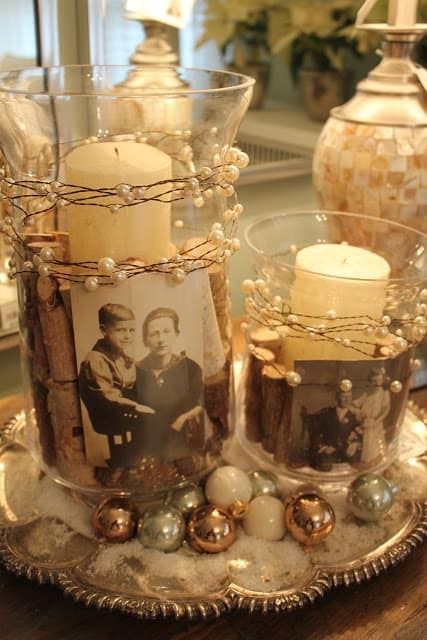 Or place photos in unexpected places or arrangements.